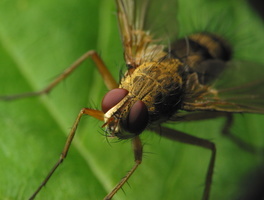 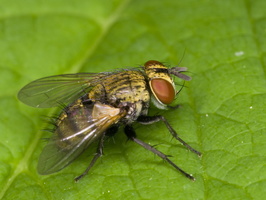 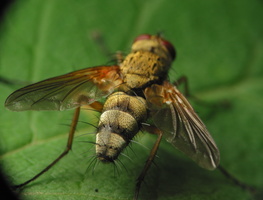 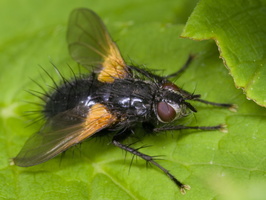 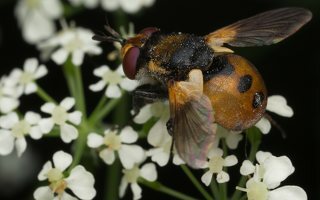 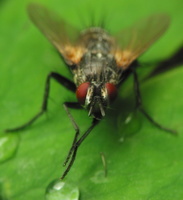 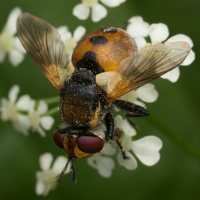 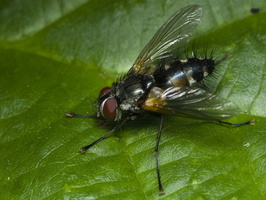 = tachinos Tachinid morphology Insects in this family are commonly called tachina flies, or simply "tachinids". 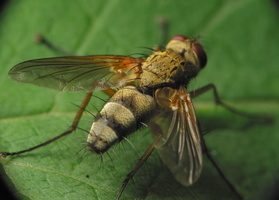 A typical characteristic of this family is the fact that most of them are parasitoids (the larvae develop inside a living host, ultimately killing it), and a few are parasitic (do not kill the host). 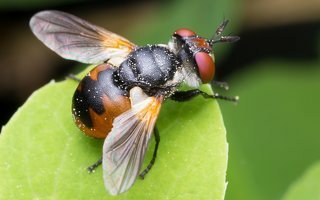 Larvae are endoparasites (internal parasites) of caterpillars of butterflies and moths, adult and larval beetles, sawfly larvae, various types of true bugs and grasshoppers, rarely in centipedes, with usually only one grub. 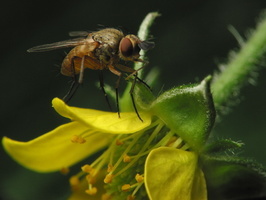 Only a few species are host species-specific.